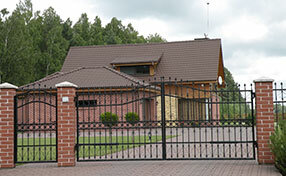 Don’t get ahead of yourself when you’re doing the research and consider residential gate installation. Before you pick out that beautiful swing gate with the wrought-iron fixtures, you need to take a step back and consider a few things. Namely, where you live, and who you live with. Your neighbors, and your local HOA, can play a big part in your home improvement project, no matter if you want them to or not. There are myriad laws that can affect your installation, but the biggest thing to check is your HOA. Your local Homeowners’ Association may have its own rules about what you can and can’t install on your property, as well as regulations about the distance from the street that a gate needs to be. 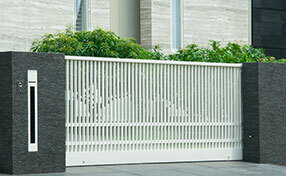 Some HOAs even have guidelines in terms of the material or appearance of a gate. Make sure the system you have in mind complies with these rules, because the gate service cost of adjusting to comply mid-stream is often prohibitive – sometimes it can be as much as the installation was in the first place! Plan first to avoid spending more money down the road. It’s common courtesy to inform your neighbors when you have a major project in the works. You’re not getting a small thing like intercom installation or hinge welding repair, you’re doing something big and loud. 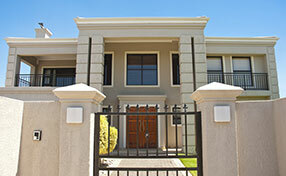 Make sure they know what to expect in terms of possible street blockages, noise, and other factors. They may want to make accommodations for pets or young children. It’s best to adopt a friendly attitude for this, as even if your neighbors don’t have a legal right to stop you, they can make life difficult for you in other ways if your project is too annoying for them. A little courtesy goes a long way!